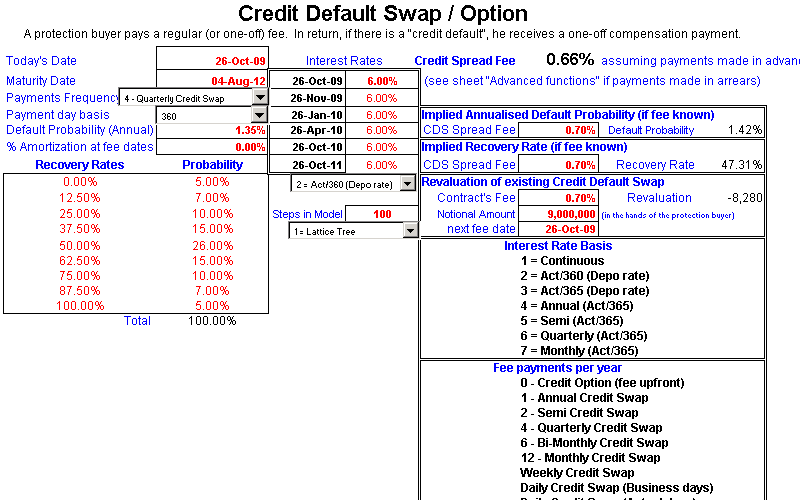 The Universal Credit Derivatives Add-in prices Credit Default Swaps and Credit Default Options. A protection buyer pays a regular (or one-off) fee and in return, if there is a credit default, he receives a one-off compensation payment. 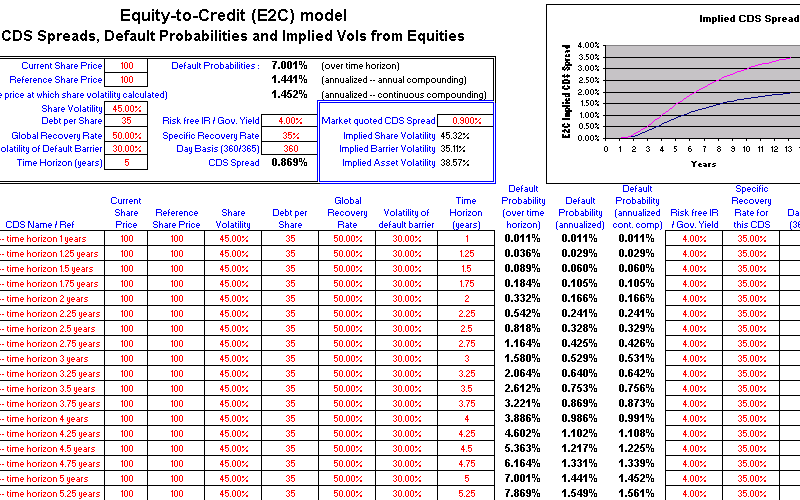 The system can imply the default probabilities (or recovery rates) from traded credit default swaps and/or credit options. In addition, the add-in can revalue credit default swaps and/or credit options after they have been traded in order to calculate a theoretical P&L. This approach has many advantages over implying the default probabilities from bonds, including the fact that there may not be liquid publicly traded bonds issued by an issuer for all maturities (if at all), whereas the OTC credit derivatives market can trade credit default swaps and/or credit options for any issuer at any maturity. The credit derivatives market, being more specialised and focused than the underlying bond market, is also likely to be a more accurate estimator of default probabilities than the bond market. 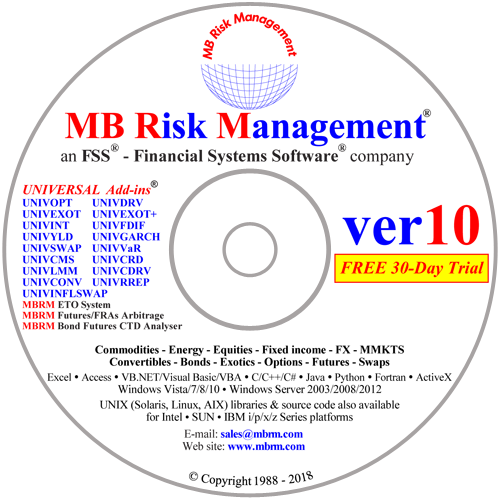 For increased accuracy and functionality, Universal Credit Derivatives Add-in requires UNIVSWAP - Universal Swap Add-in. This is because the Universal Credit Derivatives Add-in internally calls UNIVSWAP for interpolation of yield curves and date calculations.